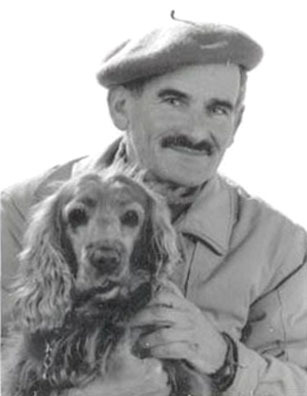 This page is dedicated to Lovas Péter (1934-2001), arguably ILSA's most successful swimming coach ever. We are grateful to Dr. Lovas János, Peter-Bacsi's brother, for kindly providing the photographs on this page. Lovas Péter, known to everyone as Péter-Bácsi, has touched so many lives, yet precious little is known about his personal life. From the perspective of his swimmers, he would show up at the pool, run the training session, then leave, yet in spite of this apparently detached approach, Péter-Bácsi's impact on his swimmers went well beyond the physical aspect of the sport. 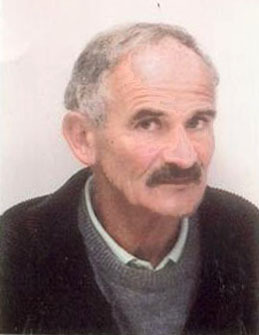 It is assumed that Lovas Péter was born and raised in Timisoara. His father, Aristid Lovas, was the co-owner and Editor-in-Chief of Temeschwarer Zeitung, a newspaper with decades of tradition. Sometime during the 1940's, Péter-Bácsi joined the ILSA swim team and soon achieved national prominence. 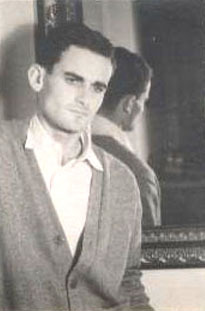 His swimming career peaked in 1951 and 1952, when he became the nation's top butterflier (fluture bras) and was selected to Romania's national team. His best times were in the neighborhood of 1:22 in the 100 meter breaststroke and 1:20 in the 100 meter butterfly (fluture bras) events. 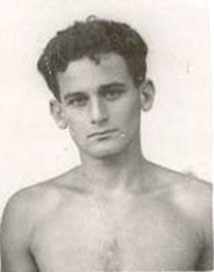 Like many other top athletes from "provincie" (places other than the capital city of Bucharest), Lovas Peter's military service brought him to Bucharest, where he swam for Casa Centrala a Armatei (CCA), Romania's powerful army club, along with Papa Csopi, yet another ILSA standout swimmer. Lovas Peter's coaching career took off in Bucharest, where - after completing a coaching class - he started working with a group of CCA youngsters. In 1955 or 1956, Lovas Peter returned to Timisoara and started assembling a swim team that within a few short years became one of Romania's best. 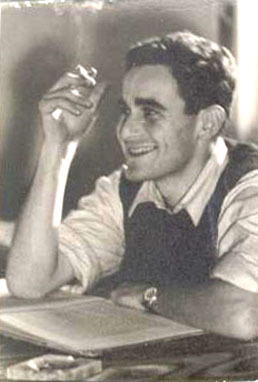 Like most other ILSA folks, Péter-Bácsi was fluent in a few languages (German, Hungarian, Romanian). He never married, had no children and was known as a social recluse. In spite of his total dedication to the world of athletics, Péter-Bácsi was a smoker. Péter-Bácsi's workouts were always carefully planned, typically many months in advance, and there were no two identical workouts in an entire season. While taking full charge of all training aspects, Péter-Bácsi would step aside during swimming meets, where he would be nothing more than an observer. Granting total freedom to all his swimmers was Péter-Bácsi's way of developing thinking athletes, with a strong sense of personal responsibility. Needless to say, all swim meets were followed by team meetings, where once again Péter-Bácsi would leave no doubt as to who was in charge. Under Péter-Bácsi's guidance, Timisoara remained one of Romania's strongest swimming centers. 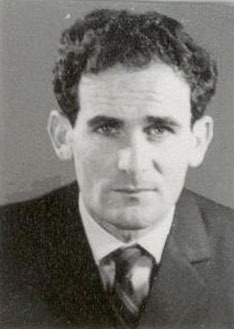 Koszta Laci's emergence as Romania's top breaststroker in the mid 1960s lead to Péter-Bácsi's first trips abroad as a coach. In 1965 and 1966, the swimmer & coach duo traveled to Italy to participate in Rome's traditional "Tournament of the Seven Hills". Undoubtedly, Péter-Bácsi's greatest success as a coach came in 1968, when he accompanied Koszta Laci to the Olympic Games in Mexico City. Prior to the games, both Koszta Laci and Lovas Péter were involved in a high-visibility controversy, the result of their decision to skip the Romanian national championships and continue with their Olympic preparations. In retaliation, the Romanian Swimming Federation, well-known for its anti-Koszta feelings, threatened to suspend both the swimmer and the coach. Undeterred, the duo pressed on and, fortunately, were able to fulfill their Olympic dreams. 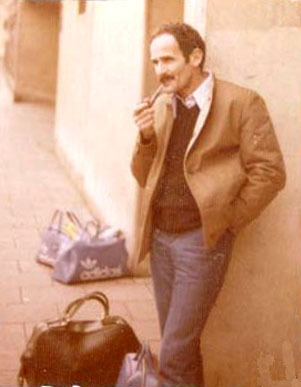 In 1970, while being in Austria, Lovas Péter decided not to return to the country of his birth. Settled in Freiburg, Germany, Péter-Bácsi resumed his coaching career in his adoptive country. While in Germany, Péter-Bácsi remained in touch with some of his former swimmers. He even visited Tzulu Morariu in Peru and Sala Codruta (Schroder) in Denmark. 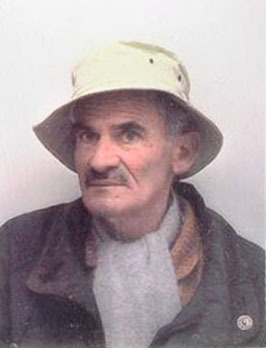 Péter-Bácsi passed away in January 2001 in Freiburg, Germany. May he always be remembered.